The "Bomb Shelter" strength shed range! Extra strong sheds that combine all the benefits of our other ranges but on steriods! The beast walls are made using Tanalised specially designed 20mm rebated shiplap planed redwood timber. These sheds are the crème de la crème of garden buildings made entirely of tanalised wood. Featuring "building grade" 3"x2" tanalised timber framework, other "Heavy Duty" sheds are put to shame by our Beast. Do you use special levelers when installing the shed? Can I paint over tanalised wood? Are your tanalised sheds the dark colour shown on site? What is the footprint for a 6x5 shed? 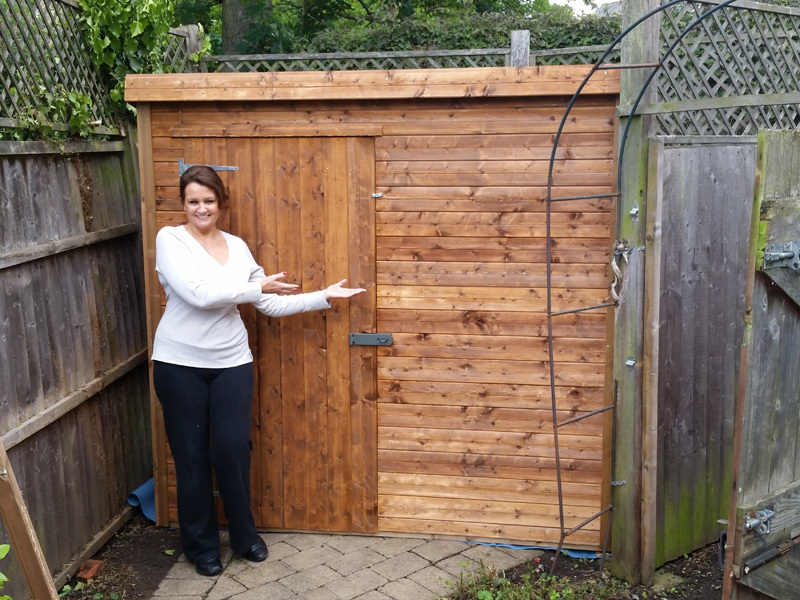 What shed should I buy for storing toys & lawn mower? Our heavy duty "Beast" sheds are the crème de la crème of garden buildings. All the sheds in our Beast range are built using only tanalised wood throughout, this means the shed will retain its rigidity for years to come and will not deteriorate with age. 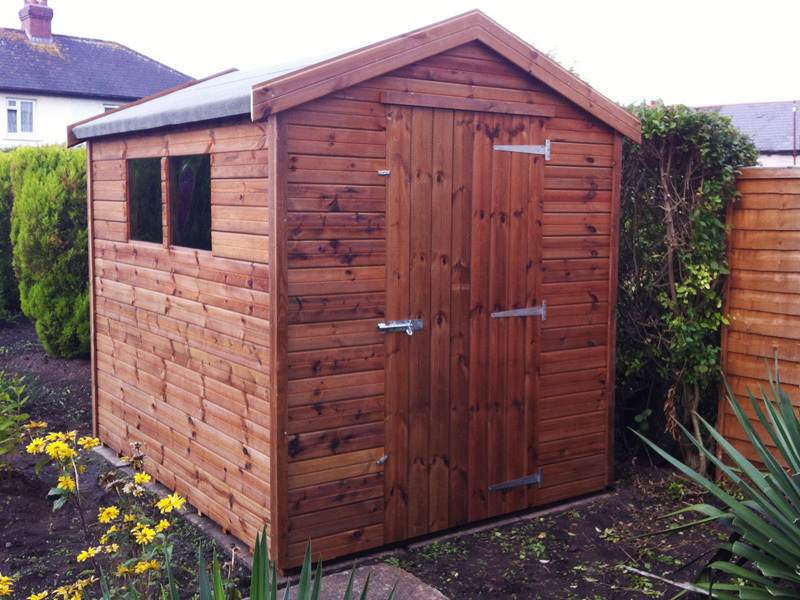 These sheds also feature the thickest framework across our product range. The 3'x2' framework used is comparable to building grade timber used in modern day house construction. The cladding used is also thicker than our standard sheds at 20mm (planed). The specially designed rebated shiplap cladding is also tanalised to prevent rot. These heavy duty sheds are perfect to use as storing expensive tools and vehicles, for use as workshops and also as permanent structures such as ticket booths, kiosks, information centers, etc. We feel that our Beast range are the strongest, most rugged heavy duty sheds for sale in the UK. The cladding on this shed is Pressure Treated (Tanalised) 25mm (planed to to a 20mm finish) specially designed rebated shiplap. The timber used to construct the framework is Tanalised 3"x2" (planed) wood. You get 1 window included. You can customise with any options & extras.